Opening one’s home to foster care is a very challenging, yet rewarding undertaking… but adopting children who cannot reunify with their families is simply amazing. Donna and Leon Warren’s commitment to unconditional love is like nothing else! Open arms and a warm welcome greet anyone who comes to the Warren home in Buckfield, ME. Donna has always surrounded herself with children, having opened a daycare in their home soon after she and Leon married. They felt strongly about being at home with the kids and being involved in their schooling. Donna and Leon are naturally accustomed to their home buzzing with kids and activity. The Warrens’ two children grew up in a home that was constantly filled with others; they participated in a variety of activities and always had friends at the house. The Warrens began their initial foster care experience in 1991 at their small farm in rural Maine when their own children were seventeen and eighteen years old. Donna and Leon have taken in foster children for the past 25 years and continue to enjoy it to this day. They see each day as a new experience and do the very best they can to be a stabilizing force for everyone around them. This goes well beyond their own home and into the Buckfield community; they provide a tremendous amount of support to the local food pantry and within their church community as well. Their fostering experience has brought about a wide variety of challenges and a whole lot of learning…all of which Donna and Leon have embraced. They do not shy away from anything when it comes to supporting others. Advocacy is a strength of theirs, especially when it concerns the high priority of education, and the Warrens have great relationships with the schools in their area. Leon has his own business which provides him with a great deal of flexibility. He is willing to lend a hand whenever the need arises. Leon is a key component to getting all of the kiddos where they need to be in a timely manner whether it be to a visit, an appointment, the bus stop, an activity, or to work. Donna and Leon work as a great team! The Warrens work very hard to keep foster children connected to their families throughout the reunification process. 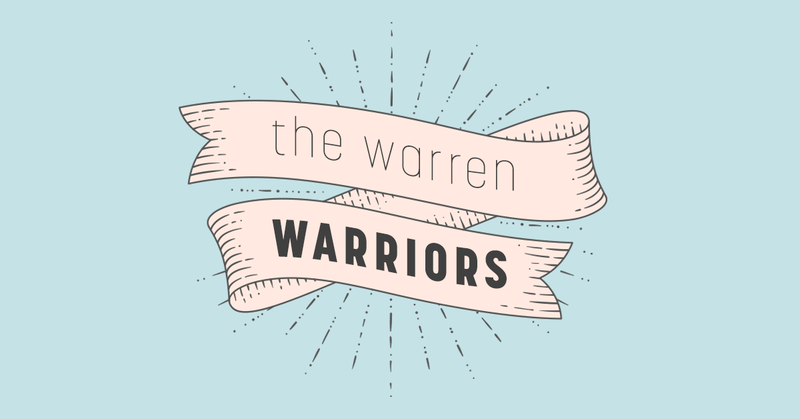 The Warrens go above and beyond to demonstrate a sincere understanding and compassion attitude towards the families who have had their children taken from them. Donna and Leon are cooperative with varying visitation schedules, special meetings, and unforeseen circumstances that easily impact their busy schedules. Unfortunately, despite all of the hard work that goes into this process, reunification is not always successful. Fostering led Donna and Leon to adoption. 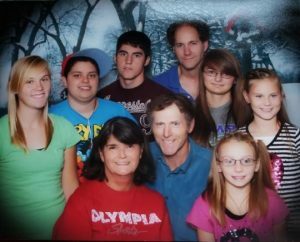 They’ve have adopted eight children in total; all girls and all adopted at an older age with the youngest being six years old. The most recent child to become an official Warren was adopted just weeks ago! Donna said she can’t say that is the last adoption as she has said that many times in the past and then another comes along! Donna and Leon display unconditional love, never playing favorites and never giving up on any child. They have had direct, personal experience with such things as Bipolar Disorder, Reactive Attachment Disorder, Post-Traumatic Stress Disorder, Autism and Down Syndrome. The Warrens have been open and willing to navigate whatever services any of their children, grandchildren or placements have needed. Donna is relentless in seeing to it that everyone gets what he or she needs to live the most productive life possible. She has always believed that children deserve to have the most typical childhood experiences possible. When asked about Donna Warren, one family support worker who worked directly with the Warrens replied, “I have never met anyone like her! Kids are Donna’s world.” This worker also described a memorable moment when she witnessed Donna standing outside of a courtroom with a mother who had just lost her parental rights. The woman stated out loud, “I just don’t know what to do now.” The rest of the people present paused, not knowing how to respond. Donna immediately reached out and wrapped the woman in a warm embrace. “That is the kind of person Donna Warren is,” the family support worker said. When asked many years ago what was her proudest accomplishment; Donna quickly stated without hesitation, “My children…all of my children.” Both Donna and Leon are extremely proud to have all of their children graduate from high school (with just three left to go!). One has even graduated from college and is currently working on her master’s degree. “We are proud of all of our kiddos and have been blessed to be a part of their lives,” said Donna when interviewed.